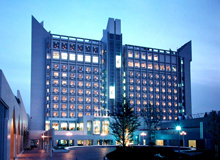 Hotel Crown Palais Kitakyushu is located in Yahata Nishi ku, Kitakyushu city, Fukuoka Pref. Perfect for both business and sightseeing with staying in our hotel! We have conference rooms, banquet halls, restaurants, bar, and Free parking for 100 cars!